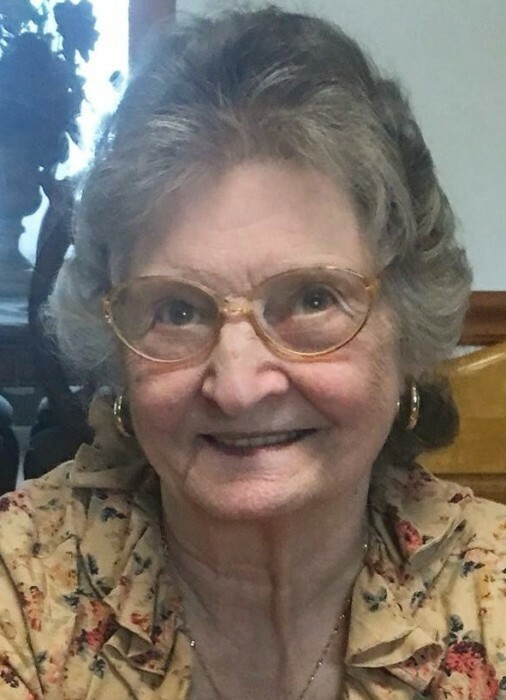 Helen T. Zielen, of Swoyersville, died Monday, January 28, 2019 in Manor Care Nursing, Kingston. The daughter of the late Michael and Mary E. Repko Krouse, she was born April 30, 1935 and was a member of St. Theresa's Church, Shavertown. Helen enjoyed cooking, sewing, spending time with her children and grandchildren and was employed as a nurses aide for many years. In addition to her parents, she was preceded in death by her husband, Edward A. Zielen, Sr in 2008; son, Edward Zielen, Jr; brothers, Michael, Raymond, Felix and Francis Krouse; sisters, Cecelia Zych, Mary Furmanek, Margaret Zarola and infant sister Elizabeth. Helen is survived by her sons, Joseph Zielen and his wife, Patricia, Dover, DE; Anthony Zielen and his wife, Tammy, Harding; Leonard Zielen and his wife, Rose, Swoyersville; grandchildren, John, Brad, Justin, Angela, Ashley, Rebecca, Emily Ann, Amanda, Matthew; four great grandchildren, Juliana, Kaya, Otto and Sophie; brother, William Krouse and his wife, Judy, Hazleton, many nieces and nephews. Friends are asked to go directly to the church, for a Mass of Christian Burial to be celebrated in Corpus Christi Parish, 605 Luzerne Ave., West Pittston on Thursday, January 31, 2019 at 10:00 am. Monsignor John Sempa will officiate. Interment will be in Resurrection of Our Lord Polish National Cemetery, Lehman. Friends are invited to call on Wednesday, January 30, 2019 from 4 to 7 pm at the Andrew Strish Funeral Home, 11 Wilson Street, Larksville.